Zamorano professionals represent opportunities for development, innovation, and for boosting the agricultural sector in Honduras, Latin America, and the world. 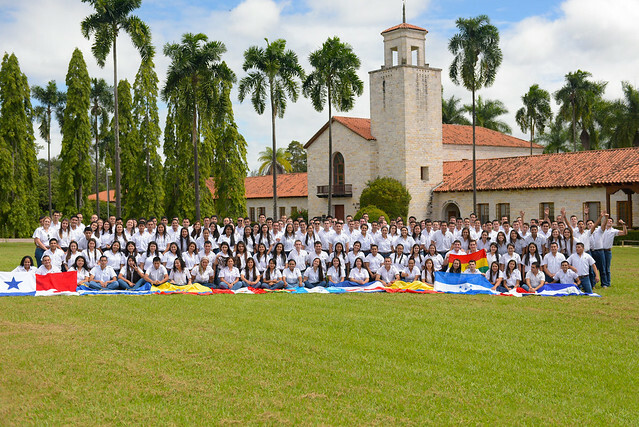 Zamorano has contributed to the development of Honduras and the world for over 74 years, inspiring young men and women who are now graduates and professional leaders, trained with excellence and willing to be agents of change in their countries. They will innovate and transform realities. They are the hope for a better world. This year, Zamorano graduated 299 professional leaders (109 women and 190 men), with dreams and projects to accomplish. Sixty-two percent of the students from the class of 2016 was able to study at Zamorano due the financial support and trust provided by people, businesses, institutions, organizations, and governments. 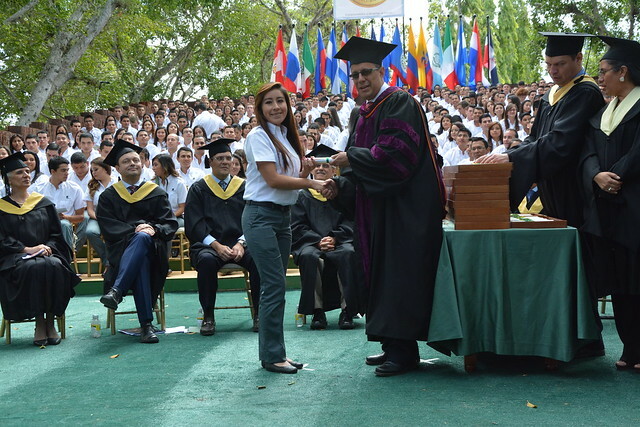 This year’s graduates are the seventy-first class graduated from Zamorano. They come from 16 countries: Belize (1), Bolivia (7), Colombia (8), Costa Rica (2), Ecuador (84), El Salvador (23), Guatemala (30), Haiti (1), Honduras (72), Italy (1), Mexico (3), Nicaragua (9), Panama (24), Paraguay (1), Peru (26), and the Dominican Republic (7). 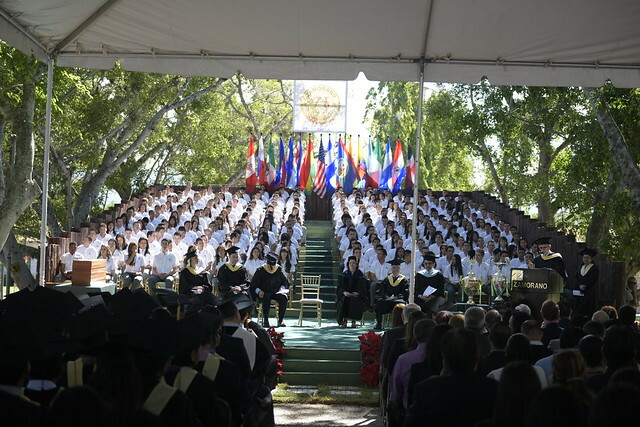 The authorities of Honduras and Zamorano, the diplomatic corps stationed in Honduras, representatives from international organizations, businesspersons, and parents and family of the graduates assisted to the graduation ceremony. 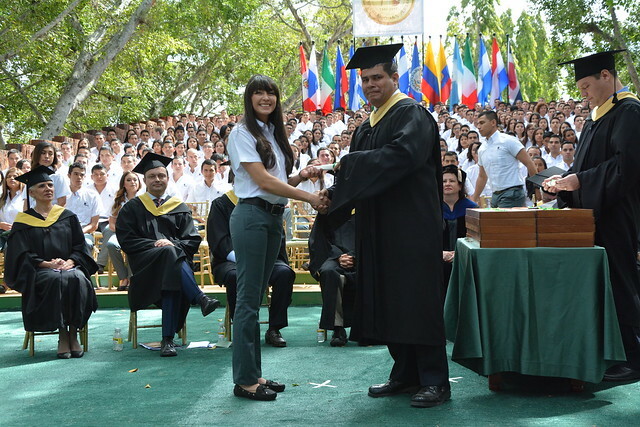 Ketil Karlsen, the European Union representative and main speaker at the ceremony, advised the students to live every day as an example to society: “You are “hope” —full of talent, skill, and determination— this fills me with confidence in the fact that a better future is possible for this country and Latin America”. 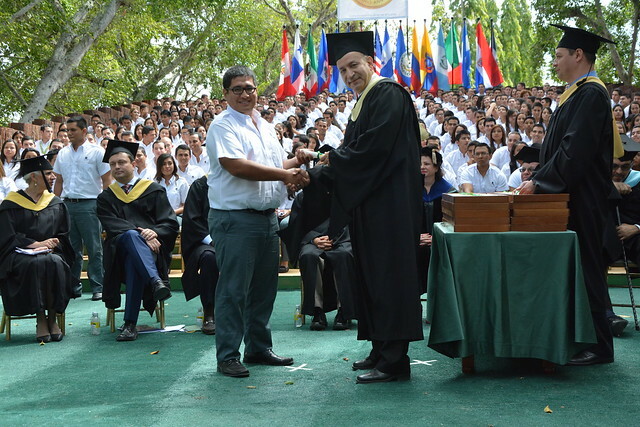 Jeffrey Lansdale, president of Zamorano, stated: “There are no shortcuts to reach excellence: The greater the adversity, the greater the learning —this is the basis for success at Zamorano, where you have developed the strength and maturity to embrace adversity. For four years, you have discovered treasures —treasures called friendship and ambition”. 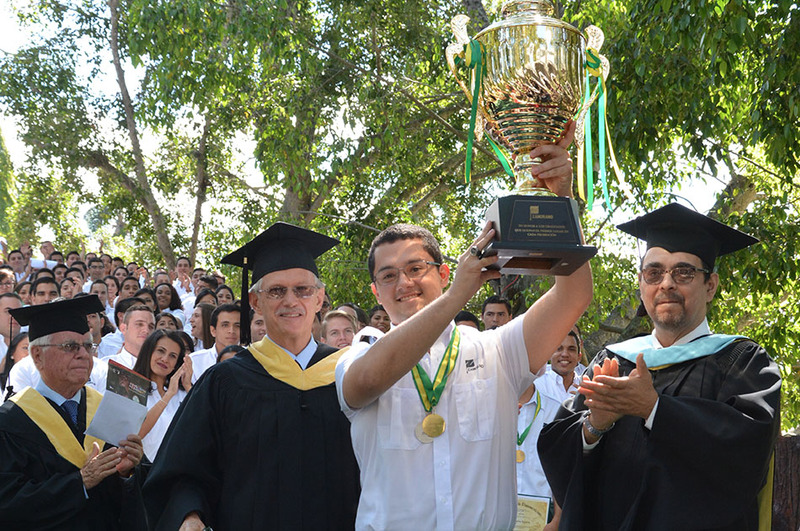 The young Honduran, César Matamoros, who graduated with a GPA of 94.44% from the Agricultural Sciences and Production major, was awarded as the best student. 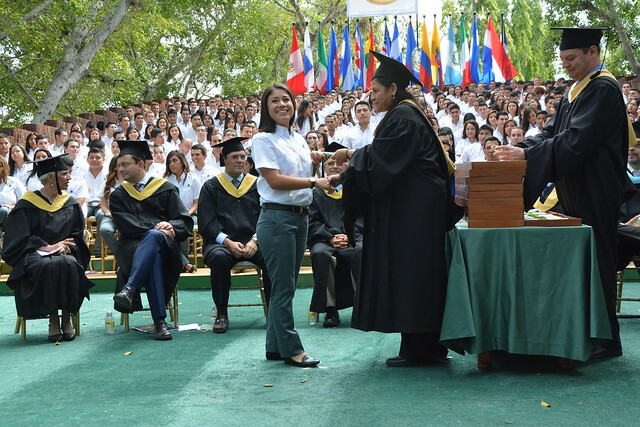 Other granted awards were: the Highest Grade Point Average Per Major, the Best Graduation Projects Per Major, the Highest Grade Point Average of the Learning by Doing program, and the award for the student with the least number of faults (Mejor Disciplina in Spanish). Finally, the María Carla Rivera Tejada Award for Civism and Comradeship was also granted. Zamorano is an innovative university where students are the raison d'être. To date, there are more than 8,100 Zamoranos who have played a leading role in the transformation of their countries and have left an imprint of development in their families, communities, and nations. After the ceremony, the Major of San Pedro Sula (Honduras) signed an agreement with Zamorano that includes several goals. Among them, to offer the opportunity of a scholarship to four young students with a high academic level and the wish to study at Zamorano. In four years, these young men and women will become professionals who will transform the reality of the northern region of the country. 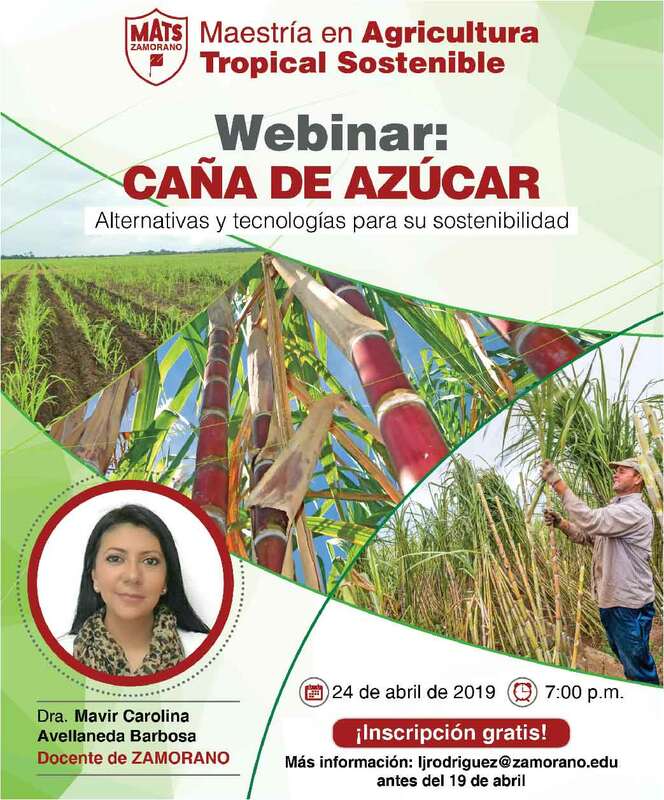 Also with this agreement, Zamorano will transfer knowledge and share technologies in agribusiness regarding areas such as coffee, innocuousness, cacao, and environmental management. One of the goals is to sensitize the agribusiness sector in environmental issues. To help SMEs become more competitive, Zamorano will provide them with technical assistance in entrepreneurship and corporate social responsibility projects. Innovation and the exchange of technology and information will be promoted through a trade fair of new products for entrepreneurs. Zamorano students will carry out research regarding the development of organic and environmentally sustainable products. Also, they will get to know the reality of their municipality by participating in educational trips from projects organized by the municipal corporation. 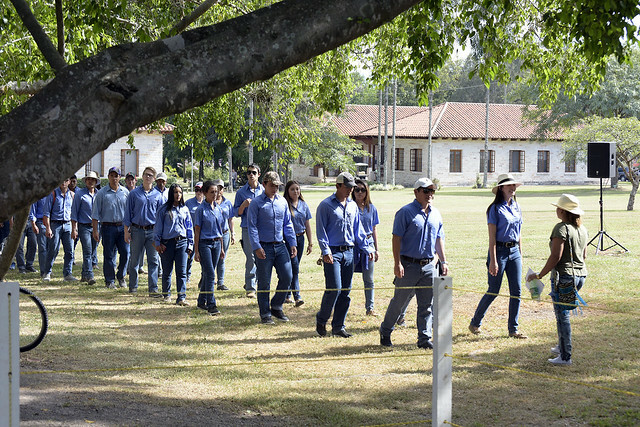 Zamorano has been a benchmark for the quality of its education and its graduates, for forming young men and women from many countries, and for its unique methodology of hands-on training (the Learning by Doing program). It is also a reference for its outreach and research initiatives which contribute to solving current problems in agriculture and deal with the improvement of the living standards of hundreds of people.